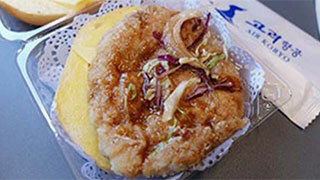 The infamous Air Koryo mystery burger. A looming U.S. travel ban has prompted some American globetrotters to fast-track their vacations to North Korea. Beginning 1SEPT, U.S. passports will be invalid for travel to the hermit kingdom. "With the upcoming travel ban I felt like it was now or never," said Virginia resident Nicholas Burkhead, who lamented that he had run out of time to learn Korean before the ban. CNN reports that for Burkhead and others like him, the threat of arrest and imprisonment in the totalitarian state is seemingly not a deterrent, nor is the looming threat that Pyongyang could become the staging ground for a nuclear war. The U.S. ban was issued a month after the mysterious death of Otto Warmbier, a 22-year-old college student from Ohio who was imprisoned for nearly a year and a half, and returned to his parents in a coma from which he never woke up. There may be exceptions to the ban at the discretion of the State Department. Journalists are one example. “U.S. passports will be invalid for travel to, through and in North Korea, and individuals will be required to obtain a passport with a special validation in order to travel to or within North Korea," said Heather Nauert, a State Department spokeswoman. Despite the recent tensions and missile launches, tourism to North Korea continues, though a recent flight was a little emptier than usual. There were eight Americans on board, among the last to be allowed in under tourist visas before the ban. "At the end of the day, everybody is exactly the same," said Washington, DC resident Ali Karim. 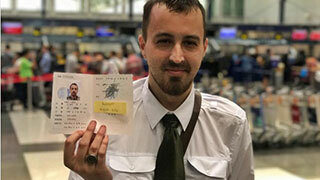 Karim, a former doctor travelling the world with a message of unity, said he moved up his trip to North Korea by several months to beat the ban. The State Department does not track the number of American travellers to North Korea, but tour operators have estimated that it is about a few hundred each year. It’s worth pointing out that these American travellers will also be among the last to enjoy an Air Koryo burger until the ban is lifted. Maybe that’s why they’re really going.